40% of Americans have never left the country. So don’t worry, you’re doing great. You’ve done what many of your peers haven’t: you’ve left the country. But sugar honey iced tea — you lost your passport in the process. Are you confused about what to do if you lose your passport? Here are five steps to keep you from losing your cool (or to prepare yourself in case you ever do lose it). Stressing out isn’t productive and it makes you feel terrible. Calm yourself down and make sure you didn’t frantically overlook a place you might have left it. Search for it like a mom would (moms always find stuff we can’t). Check every pocket and strange place you may have stashed it. 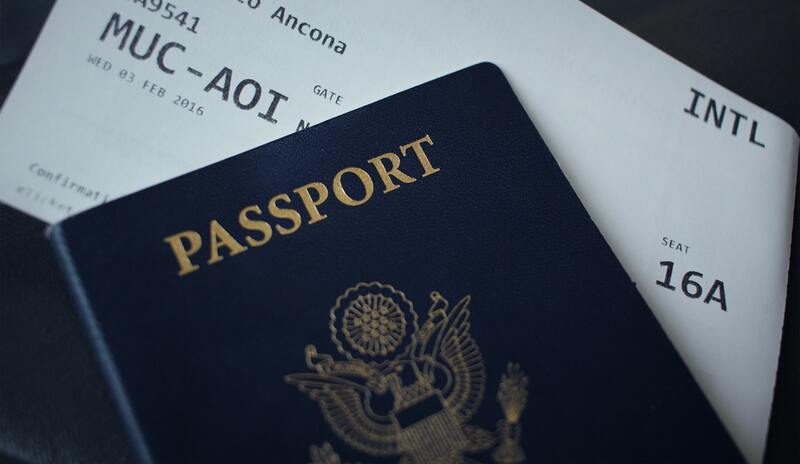 If you’re in the situation of having a stolen passport, you may want to file a police report. This step isn’t required, as you will fill out a form saying it’s stolen when you get a new one, but it can speed up the process. Regardless, if you can’t find it, there are two ways to get a new one. You’re not the first person that’s lost their passport. The next steps are already laid out for you. You can take care of your lost passport by taking three easy steps: apply online, gather materials, and get it shipped. If this isn’t an option for you due to internet connection, you can always take care of it in person (and it won’t be too much more work). You’ll want to give the nearest U.S. Embassy a call before going in to find out their requirements and to schedule an appointment. They’ll tell you what to do if you lose your passport, in case you’ve forgotten from this article. Make sure to tell them your planned date of return. If it’s soon, they can issue an emergency passport within 24 hours. Keep in mind that offices close on weekends and holidays. There are six things you need to get a new passport. The first is a new photo. Some embassies can provide this service, but it’s best to go ahead and get it before you go in to make the process faster. You’ll need an identification document (such as driver’s license) and evidence of U.S. citizenship (such as a birth certificate). Additionally, you’ll need your travel itinerary, including airline tickets. Finally, you’ll need to fill out two forms: a DS-11 application and a DS-64 statement that claims the passport has gone missing. Phew! The hard work is over. Now you just have to wait for your appointment. In the meantime, relax. You’ve done what you need to do. Catch up on sports and pop-culture. Visit places (near where you are) that you haven’t been. Hang out and wait. Show up 15 minutes early with the required documents and brace yourself to pay the hefty fees. How much you have to pay will vary based on how fast you want and need it, but prices start at $129 plus government fees. Don’t let anything keep you from seeing the world…especially not losing an easily replaceable document. Use your experiences and mistakes to help others by starting a conversation about it. Your tips and tricks can help others, plus you may meet fellow travelers.